Our range of products include coal feeding plant. We have set a benchmark in the industry for manufacturing and supplying Coal Feeding Plant. 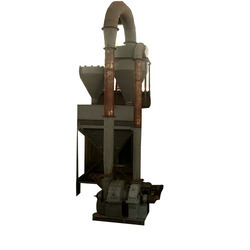 The offered equipment is used for the grinding of substances for a wide range of industries. It provides with uniform size of particles and is energy efficient as well. Being resistant to corrosion, easy to install and user friendly, it is extensively demanded.